With merely a fine to be paid, global investors and American taxpayers are once again left scratching their heads wondering if the transgressions involved happened without any sort of meaningful human involvement. I mean, how is that JP Morgan will pay a fine likely in the hundreds of millions of dollars and not one single individual is likely to face the music? More on that in a second. 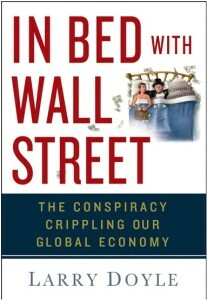 What today’s WSJ report and many other reports fail to identify is what really happened at Bear Stearns. Let’s navigate. Are the wagons circling around Mary Schapiro and her former FINRA colleagues? Regular readers of Sense on Cents are familiar with the issues and concerns I have raised repeatedly with Wall Street’s self-regulator, FINRA. I continue to believe the issues embedded within this self-regulatory organization lie near the heart of what I deem the Wall Street-Washington nexus. 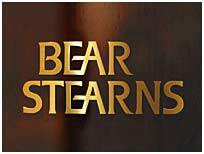 As of today, Bear Stearns is no longer. What? I bet you’re thinking Bear was taken over by JP Morgan in spring 2008 and ceased to exist when the takeover was approved a few months later. You’d be right. I am right also. How so? 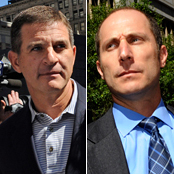 Does yesterday’s verdict in the Bear Stearns hedge fund case establish a precedent that precludes likely guilty verdicts in other financial fraud cases? Let’s hope not. I did not sit in on this trial, so I am not about to weigh in on the verdict. Consensus opinion from those who did sit in on the trial seems to agree that the prosecution presented a very weak case. Additionally, the prosecution was challenged from the standpoint of not being able to admit selected and seemingly incriminating e-mails as evidence. 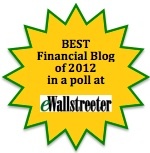 I am humbled when other outlets ask for my opinion and thoughts on financial topics. To that end, I have provided a few guest commentaries for UK-based eFinancial Careers.